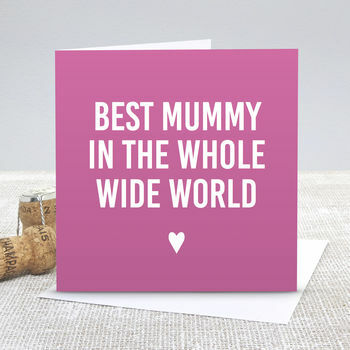 Our 'Best Mummy' Pink Greetings Card is the perfect way to say a big bold 'I love you' to a very special Mummy. 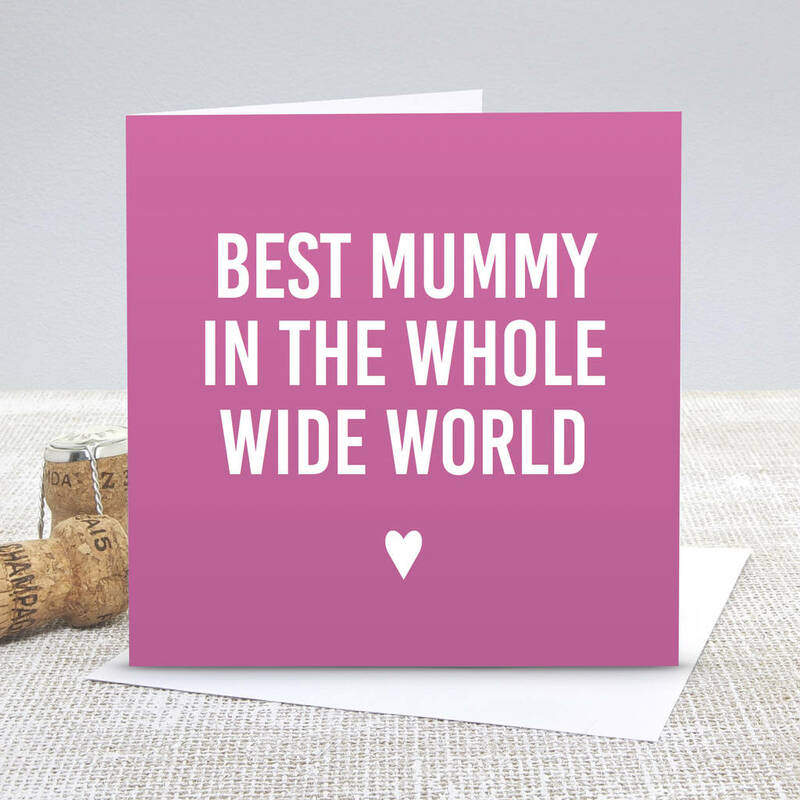 Designed by Slice of Pie Designs, this lovely simple pink square card reads 'BEST MUMMY IN THE WHOLE WIDE WORLD' in a white bold graphic font, perfect for sending to your amazing Mum. This card is left blank inside for your own lovely message. We use matt 300gsm card and supply our cards with a 130gsm white envelope. The card and envelope are packaged in a clear poly bag to keep them safe and clean. This product is dispatched to you by Slice of Pie Designs.